I think we’re all pretty tired of the cold and snow, but we show it in different ways. My husband and I sigh when we look outside and choose not to venture into it unless we have to. My dog lays in front of the door, but if you open it for him he immediately retreats to his kennel. And then there’s my kids. The kids have gone off the deep end! School mornings are filled with tears and fake illnesses. After school until well after bedtime my kids are wound up. They’re restless and they need something to do! Thankfully March Break is right around the corner and they will soon be relieved of their school responsibilities for a short while. We gave them a bit of a break already by whisking them off to Great Wolf Lodge for a night. 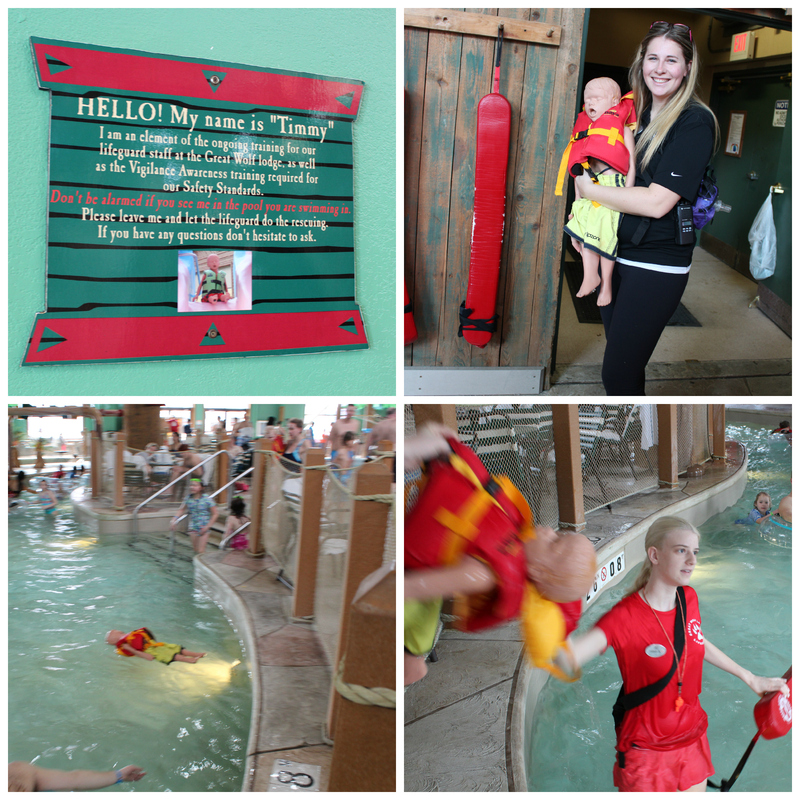 Great Wolf Lodge in Niagara is the perfect place to whisk the kids away to for some fun. 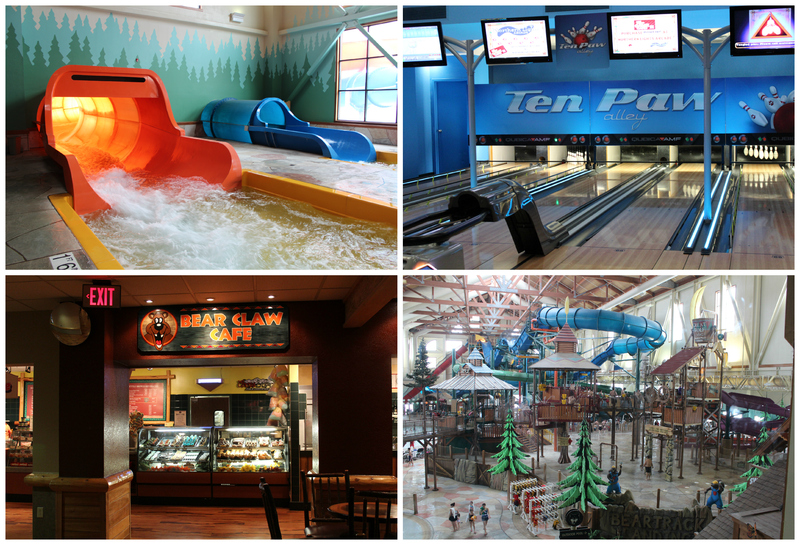 Of course it is known as being an extensive indoor waterpark with endless opportunities for water fun, but there’s so much more to it than that! You can find a spa for girls, a bowling alley, mini-golf, places to grab a meal or a snack and countless planned activities for the kids. My kids were particularly excited to take part in MagiQuest. 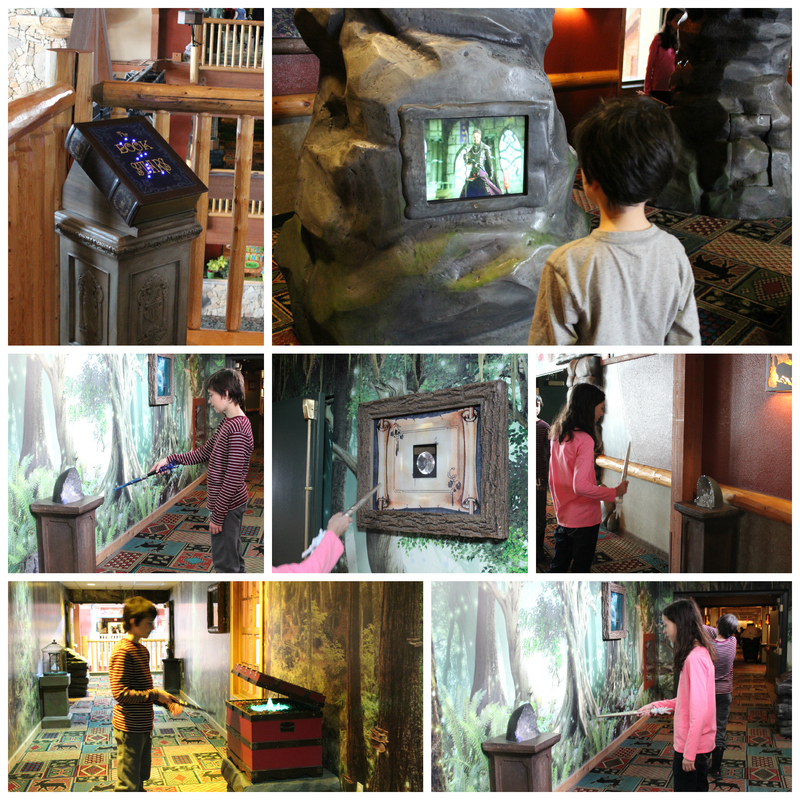 They each customized their own wands and set out on a quest to find some hidden gems. It was a great way to tour the entire resort while the kids felt like explorers! This trip was just what they needed to burn off a little steam. In the waterpark we floated along the lazy river before splitting up to do what we all enjoy most. For me and the boys it was the wave pool, and my daughter and husband hit the waterslides. When the boys were tired of the wave pool, they played in the splash pad area while I enjoyed a break at a nearby table. I didn’t feel the need to hover (although I could see them from a distance) for a couple of reasons. First off I had a life jacket on my 7 year old, that was provided by GWL. He was with his 12 year old brother too, but the main reason I was comfortable was I had already learned about the level of safety in the waterpark. I was given a demonstration of how Timmy is used in training. He was dropped in the water and within seconds he was spotted by a lifeguard who blew her whistle and jumped in to rescue him. When she moved to retrieve Timmy from the water, another lifeguard quickly moved into her position so that the swimmers were being monitored at all times. It was impressive, and comforting to this mother! 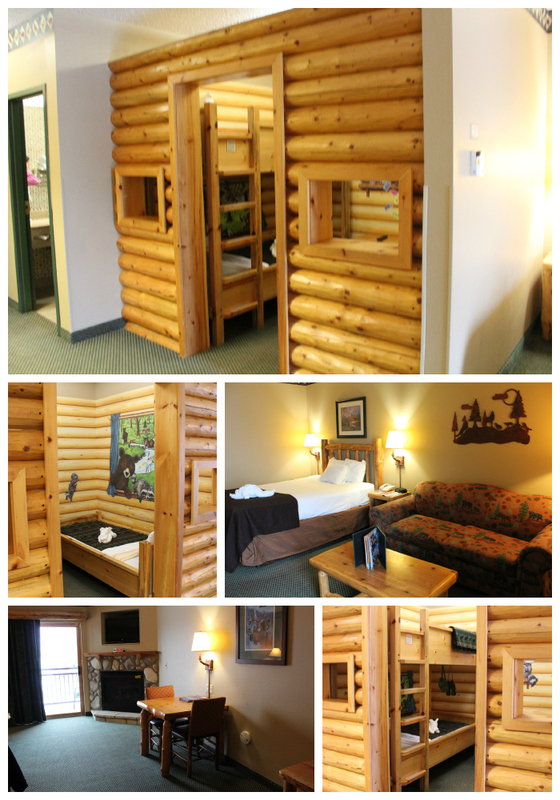 We wrapped up our day by retiring to our Kid Cabin Suite. It contained a log cabin with a set of bunk beds and a separate twin bed, which is ideal for our family. The fireplace was a hit too! I want my readers to enjoy a stay too, so go ahead and take advantage of this great deal! 20% stays from March 1 to May 15, 2015. The booking cut-off date is March 23, 2015. Confirmed black-out dates are March 6-7 and 16-17. However, more blackout dates will be added as the Lodge reaches full occupancy and availability decreases.